Here is a sample list of the tracks you will have soon. The Hound of the Baskervilles is the third of the crime novels written by Sir Arthur Conan Doyle featuring the detective Sherlock Holmes. So, this track is in fact, a "must have", because it was design by Mr. Sherlock himself, that had raced there in the same time that our friend Mr. Rickoshea. Do I dare to disturb the Pirate? May I suggest some GPL tracks? Well now, Rick..that's an intriguing clutch of tracks to look forward to..i normallylimit myself to learning one at a time, but i have heard it said that 'Resistencia' is futile! Cheers, mate..how lucky we are, eh? Seriously though I think philrob has\is done\doing most of the gpl tracks. Weren't The Stranglers singing "How many times have you been told - if you don't ask you don't get" ? Jokin'aside, as far as I remember, there are some tracks Philrob didn't converted; I for myself tried to do those ones, I was able to convert objects and textures, but there was always a cliff to hard to climb for me, the aiw, I tried many tools but no luck. There's been so many new tracks and cars lately that GTL is getting stronger and stronger and that's great to see. Nothing compares! I've just emailed you Mel me owld chook. there are a couple of versions of Lydden knocknig about but they need work, trying to find them on my thousands of backup cd's now. i have found 2 version 1 by mad cowie very basic, the 2nd unfinished created in BOBs.The one i was looking for was a version i had been updating some years ago, i have not found it. The one mentioned above by Zee was i think being worked on by Analog Kid, i have written to him today as i knew him a few years ago, he moved to the USA and i lost touch. As well as the Mad Cowie Rallycross track I have a 'circuit' (ie not Rallycross) Lydden hill for GP Legends somewhere which uses the dirt sections as the pits but as i remember GPL tracks aren't an easy conversion to GTL. A few years ago I also tried to build. - The pit area is very difficult, 36 position almost impossible. - Dirt road section does not work well in GTL (AI opponents pass without problems, but own car will slow down, the speed of a lot to lose - is not fair race). It's something to do with the simbin game engines not recognising gravel i believe. 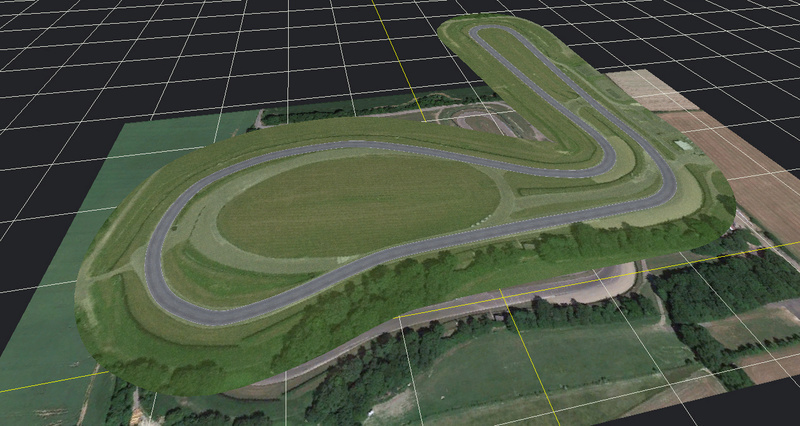 The dirt sections could be added for gtl but would have to behave like tarmac i think? I found the version i had worked on a few years ago, it runs ok in RF1.Trouble is its tarmac only, as i had never made the gravel AI, in fact i dont remember making the tarmac AI lol. lovely circuit, that i had not seen before, so i dloaded it. My version of Lydden has the gravel sections but the AI does not drive on it, only races on the tarmac.As the AIW file did not include the gravel sections.